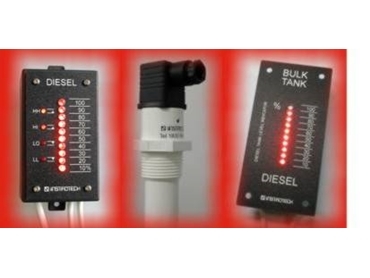 Instrotech Australia offers Model 1684 diesel, water and foam tank level indicators comprised of a tank sensor and a 10-level LED remote display controller. The fully digital self-checking tank level indicator has no moving or corrosive parts. The switching levels are programmed into the solid state sensors by means of a computer and display the tank levels as well as provide relay outputs. The displays for the tank level indicator are available in panel-mounted, surface-mounted or rail-mounted options.